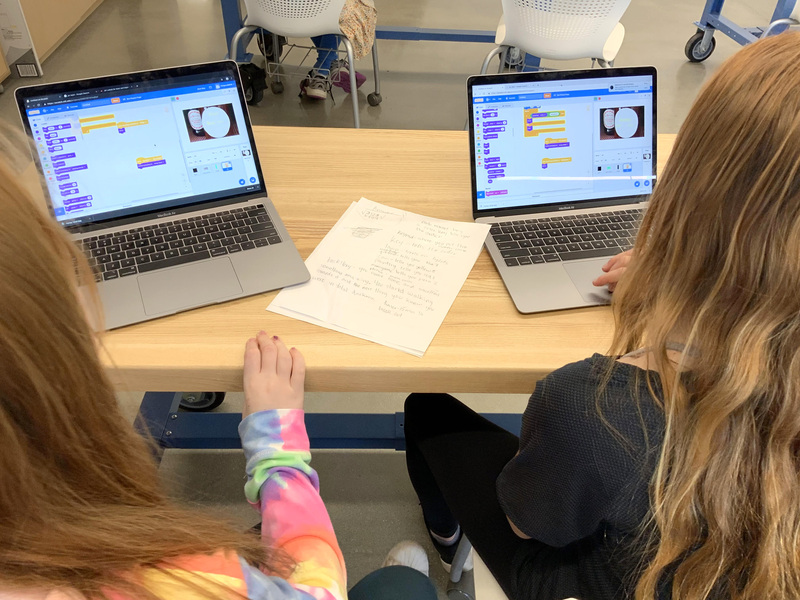 Students in fifth grade have begun programming their final project in technology class. 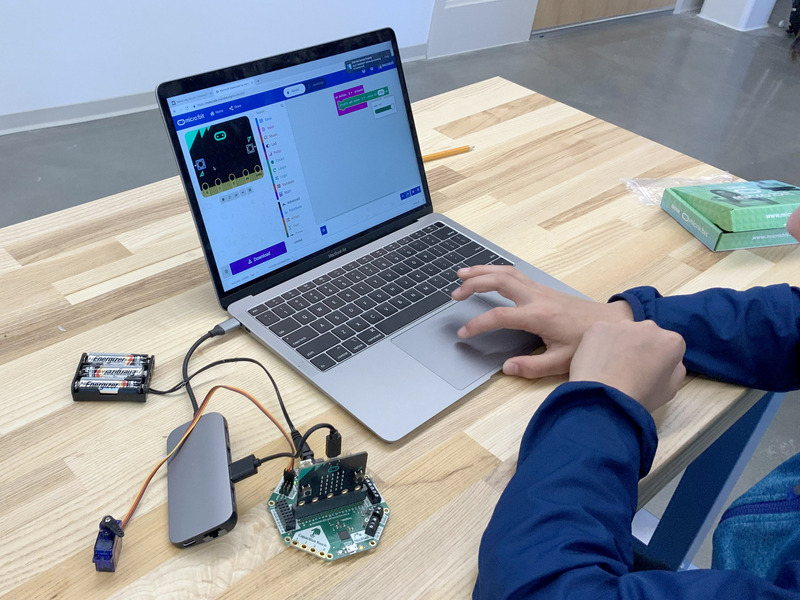 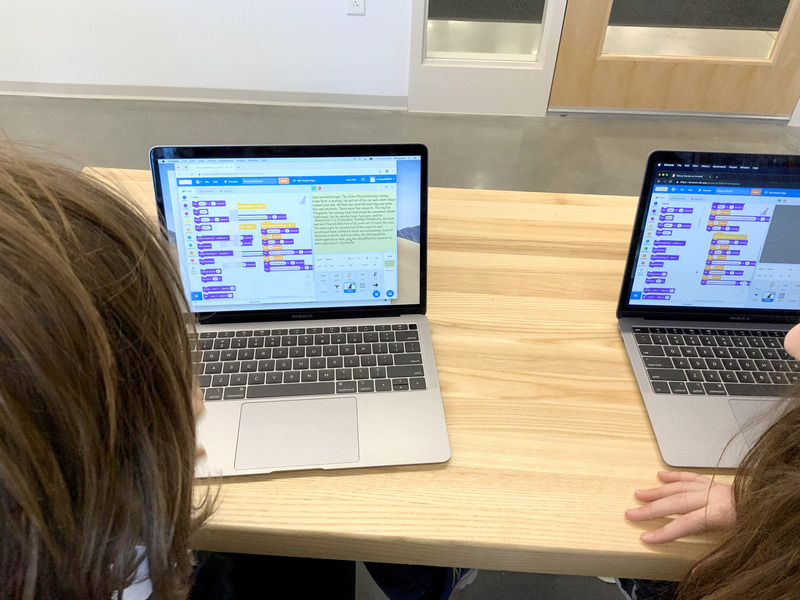 Students are using the Scratch or Microsoft MakeCode programming environments and either a MakeyMakey or micro:bit as a way to interact with their programs beyond just the computer. 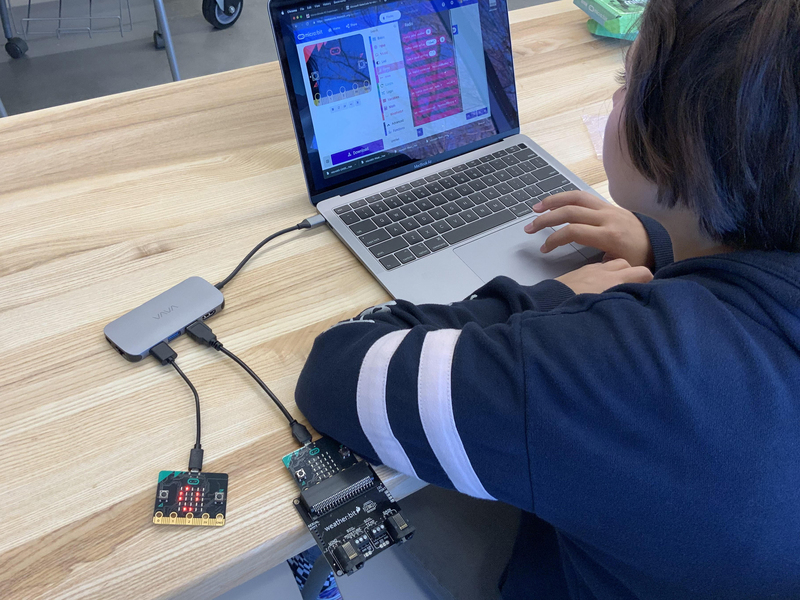 They are learning how servos work to open and close doors, move wheels for cars, or using a weather:bit to program an alarm clock to wake you up and report the weather outside.